This bejeweled dragon tortoise seal features a prominent dragon tortoise, and is enhanced with silver crystals, gold coins, and auspicious ingots. The dragon tortoise is crafted with exquisite detailing and sparkles with outstanding detailing. 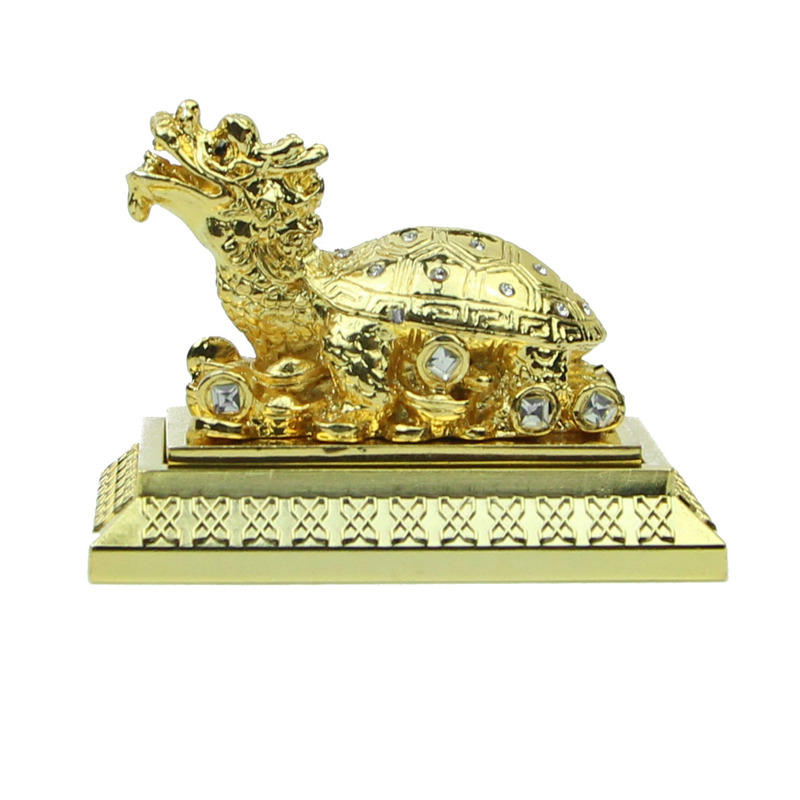 The dragon tortoise is triumphantly standing on gold ingots and supported by a base with an inscription of good fortune. The dragon is the universal symbol of power and prosperity, whilst ingots and coins stand for wealth. So this dragon tortoise has the means of wealth and abundant year by year. Dragon tortoise, which has the head of dragon and the body of turtle, combines the feature of the dragon and turtle. Dragon symbolizes career success and courage and turtle is a creature of longevity. It can give you a good support if you display it behind you. This statue is good for businessman and beginners. It is widely used as one of the popular feng shui symbol to enhance auspicious energy. The seal and the base can be separated. The dimension of the whole Bejewel feng shui Seal is approx. 2.5" x 1.5" x 2.25". It is made of alloy.